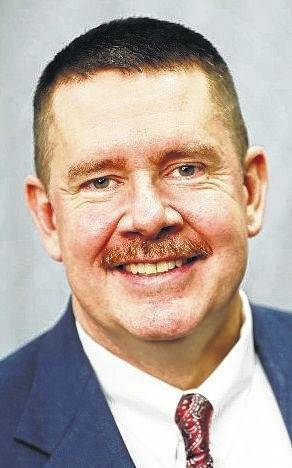 Following skyrocketing fatal drug overdose numbers last year in Highland County and Ohio, drug fatalities here seem to have dropped off this year, leading Highland County Coroner Dr. Jeff Beery to wonder why. Of the 54 cases Beery’s office processed last year, 31 were caused by illegal drugs, the coroner said. Of the various concoctions that caused those deaths, Beery said more than half included fentanyl, a potent synthetic opiate that was responsible for the deaths of 3,431 people around the state last year, according to the Associated Press. But, the coroner said, the majority of overdose deaths last year occurred prior to April. Beery said he has his own theories as to why the carnage slowed, but among them are the advent of a more compassionate community effort to help those addicted, and an increase in local and federal-level drug enforcement. Beery said one of his investigators last spring began visiting people who had overdosed to urge them to seek treatment, and that was around the same time overdoses dropped off. As previously reported, that effort later evolved into the Highland County Quick Response Team, a multi-disciplined group of cops, medics, mental health care providers, public health officials and people of faith who regularly visit overdose survivors to help them get back on their feet and seek help. So far this year, the coroner’s office has only investigated five drug-related deaths, according to Beery. “Unless people get really rowdy the last three months, we’ll be good,” he said. As for an explanation, Beery pointed back to law enforcement and the Quick Response Team. “They pray with them and offer help,” he said of the QRT. “I think that’s helped… Locally, I think our sheriff’s office and local police departments do a great job, so I think enforcement locally and at the federal level” is what has curbed overdose deaths here. In the rest of the state, fatal drug overdoses increased to a record 4,854 last year, a 20-percent rise compared with the previous year, according to information reported to the state. The newspaper’s review of the data shows fentanyl continued to fuel the drug epidemic, accounting for nearly three-fourths of last year’s overdose deaths. That was 46 percent higher than in the previous year. Cocaine-related deaths increased 39 percent from 1,109 in 2016 to 1,540 last year. Positive news shown by the data included a 46-percent drop in heroin deaths to 987 last year for the fewest deaths in four years.